Using a cellular to Wi-Fi modem and a cell booster is a great way to hook up multiple devices to the internet in remote locations. It's becoming harder in today’s fast-paced world to be away from a phone or internet connection. Whether for work or family reasons, many boaters want to stay connected, which can prevent visits to destinations without cell coverage or marina Wi-Fi. Last summer we discussed Wi-Fi, satellite, and cellular connections, and mentioned the trade-offs between the different types of cell boosters available. Let’s take a closer look at cell boosters and how to work around the trade-offs. As we discussed in August last year, cell boosters are antennas which connect to your cell phone or other cellular device. They amplify cellular signals to give you cell coverage where you wouldn’t normally have it, connecting people even in remote locations. Almost any device that uses cell signals can be connected to a cell booster. The choice people have to make with cell boosters is between a wired booster, which only serves one device and limits its mobility, and a wireless booster, which has weaker amplification but serves multiple devices at once. Wired boosters require an antenna jack on the device, but not all devices will have this. Wireless boosters will work with all cellular devices, but because of their weaker signal, they typically require the phone or other device to be near the booster to benefit from a boosted signal. This means that devices using even a wireless booster are effectively limited to a radius of a few feet from the cell-booster. For many boaters, this means they have to stay at the helm to make calls. The ideal booster would create a strong wireless cellular connection that multiple devices could connect to from anywhere on the boat. Unfortunately, this doesn’t yet exist, and there are strong scientific reasons why it won’t for a while, such as interference and signal degradation. However, there are cellular modems on the market that (with an associated monthly service plan) generate a strong Wi-Fi internet connection from a cell signal, and this is where there is an opportunity for a mobile solution. 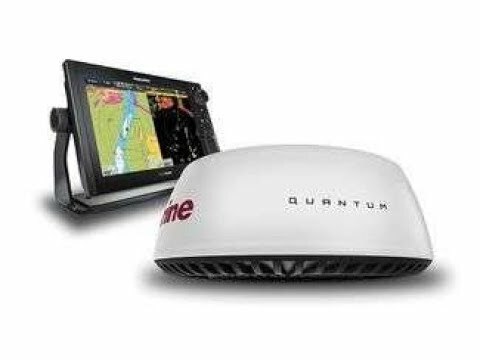 Wi-Fi has great range, more than enough to provide a signal throughout small recreational vessels, and enough to cover the living areas of larger vessels. A cellular modem can use a cell signal to create a Wi-Fi internet hotspot anywhere with cell coverage. Phones, laptops, and other devices can then benefit from a Wi-Fi internet connection, or share files between them. The main issue remaining is that many destinations lack a nearby cell tower. However, because your cellular modem doesn’t have to move around your vessel, you can have a wired cell booster connected to it. This is the strongest type of booster, so you ultimately stay connected in more places. 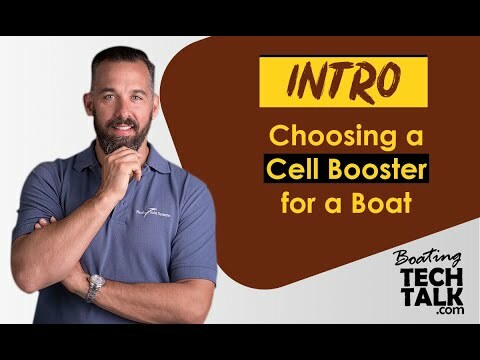 Let’s take a look at some of the ways boaters can benefit from cellular modems, and some of the reasons you might want only a cell booster instead. A cell booster connected to a cellular modem solves the mobility issue, but there are several factors to consider if you’re thinking of going purely Wi-Fi. There are different types of cellular to Wi-Fi modems, each with different features. Most stationary cellular modems are meant for house use and run off of 120V power (a standard wall plug). They create a Wi-Fi network and also feature wired ethernet connection ports. Bell retails the Turbo-Hub, Rogers the Rocket Hub, and Telus has the Smart Hub. They all have connection points for wired cell boosters. These units have their own subscription plans, and going over your data cap can get expensive quickly. The Smart Hub and Rocket Hub have a phone feature available for an additional monthly cost. They include a normal wall phone jack that can be connected to a corded phone or cordless phone base, just like on land, to make phone calls. They can be set up with their own phone number, allowing friends to call your boat’s phone, or letting you forward calls to the boat’s number from a home or work number. Mobile Wi-Fi hotspot devices are similar to stationary units but run off battery, for example Novatel’s MiFi. Some smartphones have software which creates a Wi-Fi hotspot, such as the Personal Hotspot feature for the iPhone 4 or 4S. Data-sticks (for example Roger’s RocketSticks) are USB devices that provide internet to single devices. To use these with a booster, our experience is that they have to be next to the booster. 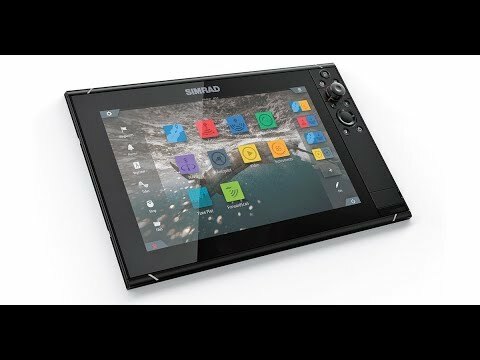 Not all devices will be able to use Wi-Fi. Modern laptops won’t have a problem, and some smartphones can connect to a Wi-Fi signal for internet, but older cell phones won’t be able to access it. Chart-plotters and other devices are increasingly internetenabled, and modern units like Standard Horizon’s new CPN series have an internet browser built into them, which can be used to browse online if there is a Wi-Fi hotspot available. An Unlicensed Mobile Access (UMA) enabled phone on a UMA plan (typically a BlackBerry, but talk to your provider) will let you replace the cell connection with a Wi-Fi signal. This will let you make and receive regular voice phone calls and SMS text messages over a Wi-Fi network. If incoming calls are important but you don’t have a UMA phone, some mobile options are to use Skype or other internet based call systems, to choose a stationary cellular modem with a phone jack, or abandon Wi-Fi mobility and connect your cell booster directly to your phone. With a cellular to Wi-Fi modem, you can use Wi-Fi enabled devices anywhere around your boat. You can also have multiple devices connected to the Wi-Fi at the same time, and when you add in a cell booster, you can have the internet in remote places. With the ability to stay connected while cruising, we still hope you don’t forget to relax and enjoy the scenery. The only difference is that beautiful scenery can now be shared with your Facebook friends, sent by email, or Skyped from your favourite gunkhole.